After several years of careful planning and preparing, Horizons is excited to announce the grand opening of our new food pantry at 224 S. 8th. Our new pantry boast an expanding seating area and a private check-in for guest who are waiting to be served. 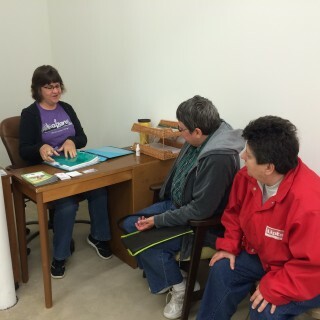 We’ve also doubled the size of our actual food pantry, which allows us the opportunity to offer a greater variety of food items and also the ability to accept larger donations of food at any given time. Since our opening, we’ve served eight to ten new families each week. The extra space makes it easier to accommodate our ever growing list of patrons, especially those with disabilities. 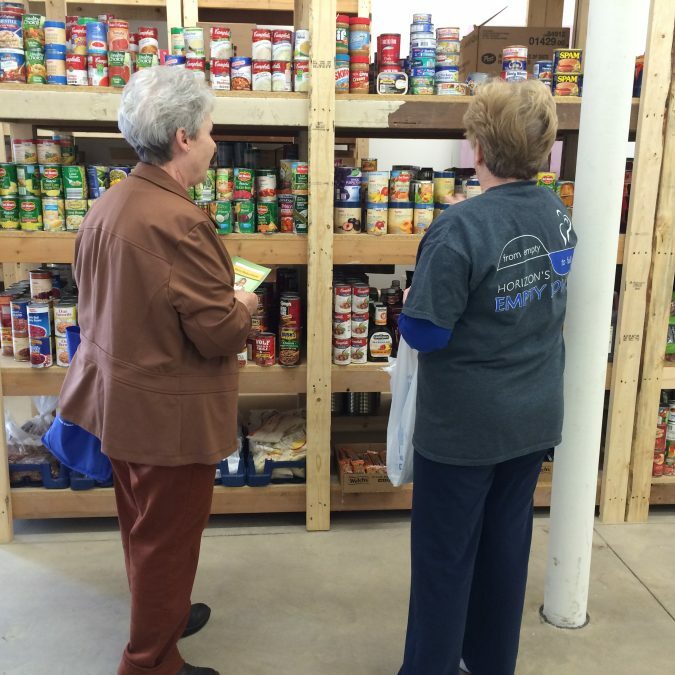 Horizons food pantry is a client choice pantry. Client choice is a food distribution method that enables clients to select their own food, much like a grocery store. Unlike most pantries, which provide clients with fixed boxes or bags of food with no ability to select the items included, client choice pantries allow clients the ability to choose from a wide variety of foods, better enabling clients to meet their personal dietary needs. It also offer greater opportunities for volunteer and clients to interact which in turn provides opportunities for the development of meaningful and supportive relationships.